That makes perfect sense. Some of us--me especially--are very sensitive to having the muse killed by too much fiddling. If I have to fight the process, nothing gets recorded. And while I started on a 2600 back in 1980, it was a friend's (I sure wish I had one today!). My first synths (other than a cheapy Casio) were acquired in 1985 and were Korgs (DW 6000, EX-800) and a TX-7 mated to my KX-88. I am super envious of those early boards of yours! I know some of it is the rosy-tinted lenses of nostalgia kicking in but still...starting on a 2600? That is soooo cool. Before the U-20 I did have a Casio that was kind of interesting...it had mini-keys and was clearly one of those "touch one button and BOOM! Instant samba groove" gadgets...but, it also had a tiny few sliders that controlled some filtering of the sound. It broke years ago and I tossed it...man, I regret not holding onto that one. I gave away the DW-6000 to a deserving friend. I still have the EX-800 module but it has that fault that some develop where it plays in a different key! (That is great for looking good at a jam session...NOT!) But I do have pretty much all that I ever bought, including a Casio CZ-1000. I finally got a Roland JD-800 recently. That is so much fun to twist knobs on. By the way, that college roomie with the ARP 2600? He also had a renovated 1887 Steinway (about 6'), a mellotron 400, and for a while, an ARP Pro- Soloist. The latter was my favorite...one could instantly be Tony Banks. Of course, it was pretty cool to be around the Mellotron! What a bizarre device that was. Moog Voyager plus various CV breakout boxes, with effects from Moogerfoogers Clusterflux, Ring Modulator, FreqBox, and Midi Murf. Plus Minifooger overdrive and delay. Finally, I have my beastly pride and joy: a Eurorack modular built around a MakeNoise B+G shared system. In truth, that's where I spent much of my time these days...just wiring various shiat up and seeing what comes out the other side. I'm fascinated by the possibilities, especially exploring stuff like what Subotnick did with the old Buchla systems. Here are a couple of shots (the studio shot is a year old...I've just replaced the old mixer with a Presonus and retired the Roland U-20 after over 25 years of wonderful service ). Looks great. I have to settle for my V Collection. The V-Collection is pretty damned fantastic! For the money, that's a remarkably large and solid-sounding set of modules. One thing I'd love to see at some point is Roland produce a soft synth sample library collecting all the various sounds from their 80's era: the D, U, and J series. I know those aren't AS popular (and somewhat with fair reason), but for me, that'd be a godsend...to have access to all those sounds rather than having to take my rackmounts into the shop for routine tune-ups. How about the old Roland System 100? I still have my model 101. And there is the discontinued Roland Vari OS rack that comes with some classic synths. Oh wow...the Digital Synsations sounds very tempting. Had no idea that existed, thanks VERY much for pointing it out! 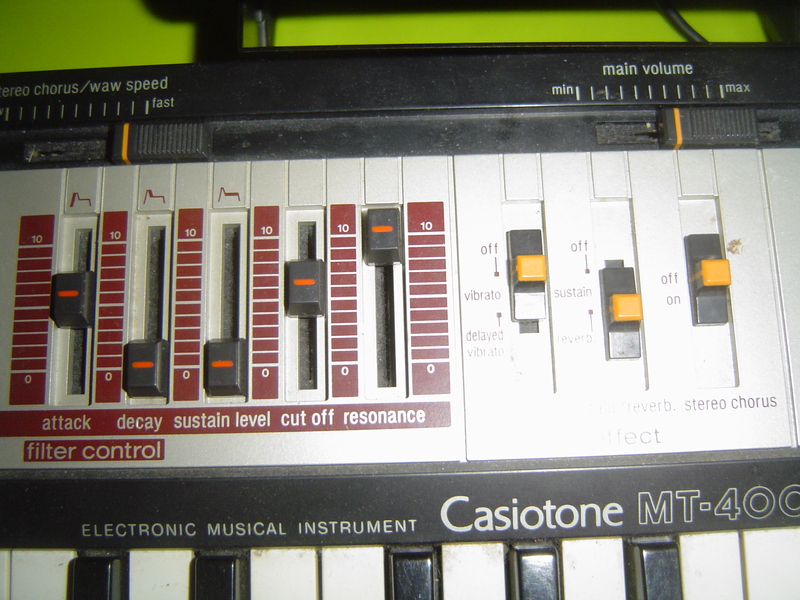 I still have my Casio MT-100, which is like that. Chintzy built-in rhythms, clacky push-buttons, “auto-chord,” the works. It has a Graphic Equalizer which doesn’t seem to do a whole lot of anything. Still works like a champ, and I have NOT treated it kindly! For “real” playing, I have my M-Audio Keystation 49e and some soft synths. Someone on here said he had a D50 (or maybe some other kind of Roland like a D20), a DX7, a bunch of other 80s digital synths, that he only used as MIDI controllers controlling vintage sounds on soft synths. The idea was to play a DX7 and have the sound of, say, a Mini-Moog come out. It was a weird but very cool little device. One of the more exciting yet almost forgotten polysynths... Maybe because it's not very reliable and it was never updated to to solve those problems. Is it actually in production yet? I've seen vids of this thing on the expo circuit for a few years but never actually come across one for sale. Since Schmidt is hand-made in fairly small quantities, it is sold exclusively and directly through EMC and a handful of selected dealers. Please place your order via this form. As soon as we have received your inquiry, we will get back to you with information on current availability and delivery times. This German company once made a DX-Programmer for Yamaha’s DX-line of synths. It was basically just this big board full of knobs! Jellinghaus, I believe they were called, and they didn't make very many of them. One of my Facebook friends is a UK based synth tech, who recently worked on one. Not only was it "a big board of knobs", but it was actually larger than the DX-7 itself. 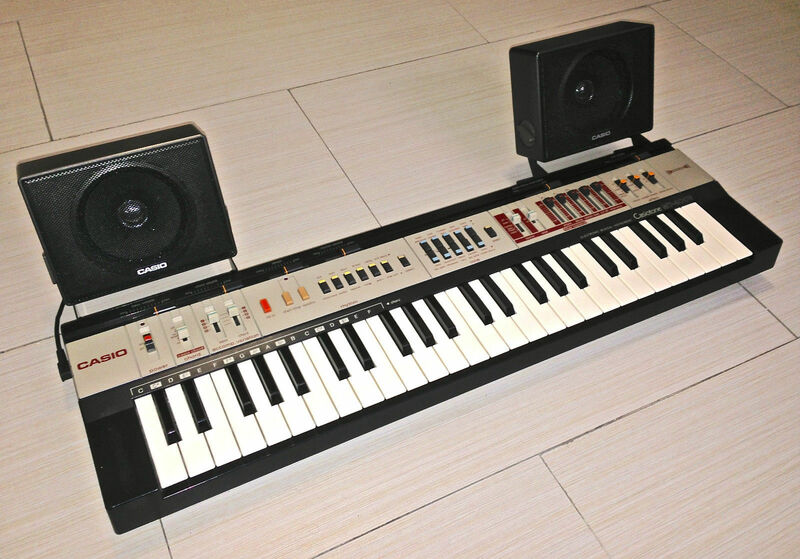 As I recall, Roland made similar devices for the JX-3P, JX-8P, GR-700, and GR-77B synths, but they were much smaller. The CS-80 is probably the most beloved synth of its era, perhaps of all time. Was it really? I always thought the Minimoog Model D and the Prophet-5 were the most beloved synths. I remember, in the mid 80's Keyboard magazine doing a book that was basically a compilation of all their synth product reviews, and it was noted in the opening of the book that the Minimoog was still being used for basslines on records, even though Moog Music had stopped making it several years later. I always liked the keyboard rigs to the two synth players in the band Berlin used onstage. Matt Reid had a Prophet-5 and a DX-7, and David Diamond had just a Prophet-5. I have a small Eurorack modular synth I'm putting together myself. So far, I have an Intellijel Atlantis, an Intellijel ring modulator (which I'm kinda disappointed with), a Doepfer Wasp filter, a Doepfer MIDI interface (when I want to play conventional melodic stuff, I use this old Yamaha SHS-10 that my parents bought me about 18 years ago), a Make Noise STO, a Blue Lantern skewable LFO, a Blue Lantern Simple ADSR, and a Blue Lantern Sir Mix-A-Lot. Oh yeah, and I have this Synthrotek delay module that I'm not all that crazy about (more useful for making noise than actual conventional delay effects). I've got all of this in a nice portable Synthrotek case. It's not quite as "James Bond approved" as the old EMS Synthi-A, but it's still pretty neat to have. My undrestanding is, it was the Memorymoog Plus that was unreliable, the one with the MIDI interface and the on-board sequencer. As I recall, the original Memorymoog was just fine, but somehow the additional bells and whistles on the Plus model caused it to become unstable. I thought I Had heard someone eventually figured out a way to fix the problems with the Memorymoog Plus, but I might be mistaken. I'd still like to have one of those, though, along with a Prophet-5 and a Matrix 12. I am a huge MakeNoise nut, and just about anything they put out is at least worthy of note. Based on your above, you might consider looking into their Optomix dual lowpass gate or LxD (which is kind of like the Optomix without the front controls, but also has some resonance that usually isn't present). Their Modemix is also lovely and if you have any interest in a west coast synthesis approach, the Wobblebug is absolutely essential. And in terms of bang for the buck in a small space, the Telharmonic almost rivals the DPO for versatility and cool sounds. I also love the Maths module so much I bought a second one...but, they aren't the cheapest of modules. As close to a true "swiss army knife" Eurorack modules as I've come across, though. For you serious Vintage GTR whores....(like me)..................the vintage Fender Jazzmasters & Jags are to DIE FOR !! Guitars? This is a synthesizer thread! We don't need no steeenking guitars!! Yeppers, I swing most ways so a mention of almost any instrument is OK. There is something to be said for specialization; one can go very far with one main passion. But I find that being a jack-of-all-trades has some wonderful advantages. Being able to play a little bit on many instruments allows one to be quite informed and be a better composer. But there is something so wonderful about the world of synths.